UAE’s leading company in ceramics, RAK Ceramics, has announced the acquisition of total equities of its Saudi Arabia-based joint ventures in a move that will consolidate the company’s control of the Saudi market. The company, based in Ras Al Khaimah, said it bought minority shares in its joint ventures in Riyadh and Jeddah. “We are pleased to have fully acquired our joint ventures both in Riyadh and Jeddah, enabling us to gain greater control and access into one of our key markets,” said Abdallah Massaad, RAK Ceramics CEO. With this move, the company now controls its entire operations in Saudi Arabia, which constitutes a major market. The move also falls within RAK Ceramic’s plan to consolidate its presence in a market that is expected to grow substantially in the near future with the kingdom’s ambitious 2030 vision. Aside from Saudi Arabia, Europe is the company’s second major market followed by the Middle East, Africa and Asia Pacific. The company also strengthened its footprint in Europe, India, and Australia with new acquisitions. 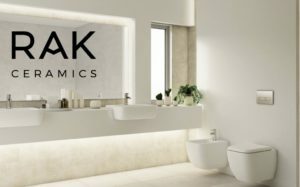 In 2017, around 31.7 per cent of its tile and sanitary ware sales originated from the UAE and 68.3 per cent was the result of its export operations to different regions around the world, RAK Ceramics said in the statement. Posted by KanelkaTagba on Oct 10 2018. Filed under Gulf News, Headlines. You can follow any responses to this entry through the RSS 2.0. Both comments and pings are currently closed.